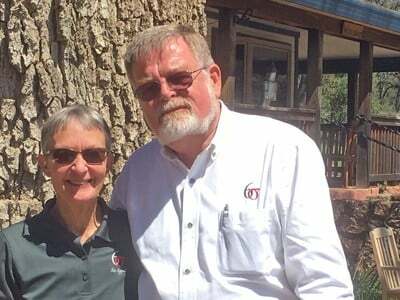 Six Sigma Ranch & Winery is a breathtaking example of California agriculture, the 4,300 property is home to vineyards, cattle, pigs and sheep as well as home to local wildlife. Owner Kaj Ahlmann was the visionary behind the ranch as you see it today and runs the lovely vineyard with his family. Kaj and his son Christian took a moment from their very full day to tell us more about this unique vineyard that is also home to a mountain biking track and a future “glamping” resort. Kaj: it’s Friday so we have a weekly staff meeting where we go through sales and farming issues. There are about 6-7 people that meet, and we do an update of our different activities and discuss what needs to be done. Because of the rain, we got flooded, so we’ve been pumping water today. We had a conference call this morning about a new glamping resort project that we hope to get started on in April after the rainy season. We recently finalized a contract with the French company Huttopia to start up a glamping resort on our property. There will be 150 cabins with a main common area with a restaurant, swimming pool, and lots of family friendly activities. We hope to be operational in 2020. Planning is underway for hosting the NorCal high school championship mountain bike race in April and May, this is our third year hosting the event on our property. About 800 kids are competing, and we are working now to build a race course for the event. As part of the races, we invite families to bring their RV’s and camp during the event., We have about 1,500 RV spaces encompassing about 2 miles. We offer the race track, and then we have a great big place for them to visit and watch the races. We have a food truck, and medical clinics set up by Stanford. A visit to our wine tasting room is also available, it’s a really nice event. The course is available for students and coaches to train throughout the year and our wine club members have access to the course as part of the membership package. CA GROWN: What is your favorite part about winemaking? Christian: I like the natural process. It’s neat that each season gives us unique grapes, and that we get to develop the grapes into a bottle of wine. It is like a developing a photographic negative into a photo. We love the agriculture process. The winemaking process is the highest form of agriculture you can do because you get extraordinary nuances in the wine reflecting how well you managed the vineyard and harvested and bottled the grapes. Kaj: I like basic farming, I like to be outside developing the vineyards. I grew up in Denmark and spent a great deal of time on my grandfather’s farm where he raised cattle and pigs. At our ranch, we have sheep that we let into the vineyard after the harvest so they can graze, weed eat and fertilize during the winter. Kaj: Building the mountain bike track for the NorCal competition is a way we give something back to the community. Additionally, we participate in the Lake County Wine Auction and every cent earned goes back to the community with a strong focus on giving to education. For the last four to five seasons I’ve been chairman of the board of the Lake County Wine Alliance, which hosts the annual wine auction. We also do donations and fundraisers when we can. At our ranch, we have an old military truck where we take people from the tasting room to our biggest vineyard, where they taste the wine grown there on-site, it’s about a two-mile drive, then we take them back to the cave and serve lunch. We’ve provided this experience to fundraisers in our community. Christian: Our focus has been education. We feel that you can engage a community by investing in the kids and education. The kinds of fundraising and sponsorship activities that we do are creating something that is attractive to young people which we hope strengthens our community. Kaj: As a child, I would run around on my grandfather’s farm, but I was not sure how I could make money at farming. I had my first piece of land where I grew produce for the family when I was 14. Years later, when I was transferred to America by General Electric, I started farming on a small piece of land around our home in Kansas City. I’ve always had a piece of dirt to mess with. I bought the farm here in 2000. I think it’s fun to see things that grow. If you plant a vineyard, it grows and gets better and develops year after year. Kaj: The first couple of years I spent a lot of time out here by myself because we still had kids in high school in Kansas City. But honestly, there is not a lot of time for hobbies, the bottom line is farming is a lifestyle. Christian: I occasionally ride mountain bikes on the properties. My wife and I both run. My wife is a marathoner and helps coach the high school track and cross-country team. She brings the kids out to the ranch to train. 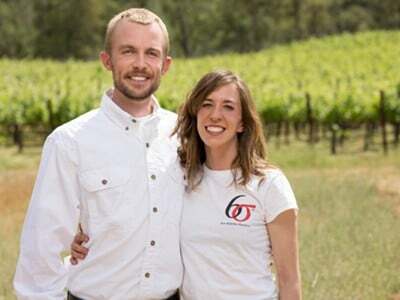 CA GROWN: What advice would you give to someone who wants to get into the wine business? Kaj: During lunch today, I asked this question to my wife and my son and our immediate answer was…don’t! Not about farming in general but building a wine business is tough and extremely capital intensive, and I think most people underestimate that. But at the same time, it’s extremely satisfying. I was speaking at a local meeting a couple of years ago of local business people, and the county supervisors and they wanted me to talk about the process with the county of getting permits and regulations and everything it took to get the job done. And I thought I put together a good presentation about the process, what works, what doesn’t work. At the end of the presentation, someone asked if I would do it all over again, knowing how much work and capital was needed, how many regulations and permits were required. And my answer was simple, ‘my wife wouldn’t allow it.’ It’s a lot of pressure. Did I pick the most difficult way of doing it? Yes, I did, I bought the land, I went back to UC Davis to learn a bit about viticulture and winemaking, I planted vineyards after learning about soil and micro climates. After 3 years, we made some wine, at that time you could make one third of what the vineyard can yield. We built a cave and put the barrels in there and stored it in the cave for two years and then we bottled it. It’s a process that takes time to develop. It takes 8-9 years to make money in the wine business, and during that time, you are spending a lot of money. Christian: First thing we do is that it’s an actual farm, we have cattle and sheep. The sheep graze and fertilize the vineyards, which provides carbon and nutrition to the soil, then we serve lamb at our farm to table dinners for the wine club members. The idea is that a natural, sustainable system would have animals and plants, because that is how they are designed to work together. The better you can integrate the two, the better off you are with sustainability. Kaj: A sustainable farm system needs to integrate plants and animals which we do. We are sustainable in everything we do, and we care about how we treat the land.